The leaves are turning and there’s a chill in the air...you know what that means, right? Better get ready, because Halloween is just around the corner! And we all know that as a parent, the most important part of Halloween is the costumes. One way to ensure that you rock the Halloween season this year is by ensuring that you and your child have the best matching Halloween costumes on the block. To help you on your quest for the perfect Halloween costumes, we’ve put together this list of the 5 best matching Halloween costumes with a little help from our friends at BuzzFeed and LifeBuzz. 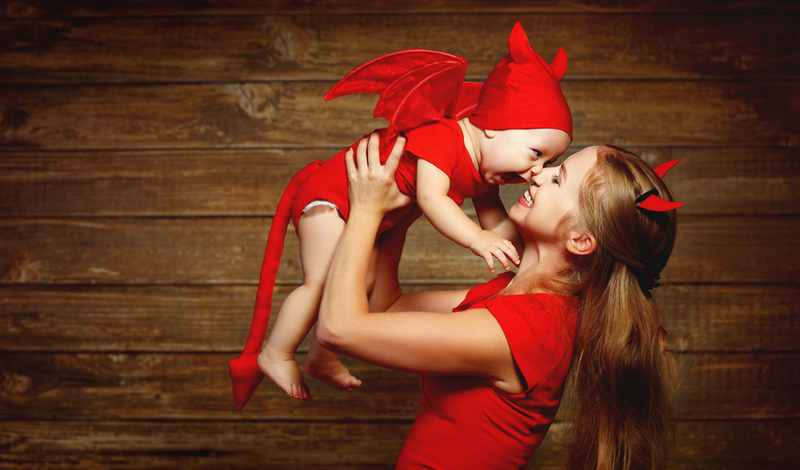 Your kiddos will be thrilled by the fact that you put some thought and creativity into your costume selection by choosing one of these best matching Halloween costumes. 1.) - The Tooth Fairy and a Tooth - Could this costume be any cuter? And it’s simple, too. Just grab some fairy accoutrement at the Halloween store — wings, wand, tutu — and a simple white pullover for your little one with a toothbrush attached. Voila! 2.) Little Bo Beep and One of Her Sheep - This one is classic and adorable. More than likely you’ll need to order this from an online Halloween costume store, but if you do it today, you should have plenty of time. 3.) E.T. and Elliott - This one says that you put some thought and originality into your costume selection and that you like 80s movies. A red hoodie, E.T. costume, and a basket with handlebars rigged. Perfect. This one is via our friends at Costume Works. 4.) Russell and Carl from the Movie “Up” - Who doesn’t love the movie “Up”? We can’t think of anyone. All you need to do for this is rustle up a suit, grey wig, and glasses for Carl’s costume and a Boy Scout uniform and some helium balloons for Russell. 5.) Crawfish Boil - A baby in a crawfish outfit? Is there anything cuter? Simply order the baby’s crawfish suit and the chef’s hat and smock from Costume Works, and add in a stainless steel pot, and you’ve got the best matching Halloween costume on the block. These are a few of the best matching Halloween costumes that will definitely add some whimsy and creativity to your holiday, but there are a lot more out there. Putting time and thought into creating fun matching Halloween costumes is a great way to fully celebrate Halloween together with your kids and really join in the fun. You’re never too old for fun!